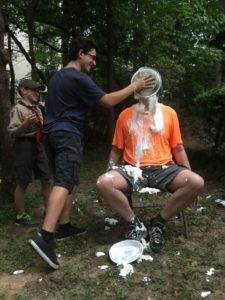 These are a few photos of our Camp Card wrap up celebration at Troop 74. This is the first year we put a dedicated effort into growing our sales, resulting in a lot more success this year than ever before. We sold $3,958 in camp cards this year. We taught the Salesmanship merit badge as a part of this selling push, and also incentivized the boys with extra awards we handed out weekly for hitting certain levels. 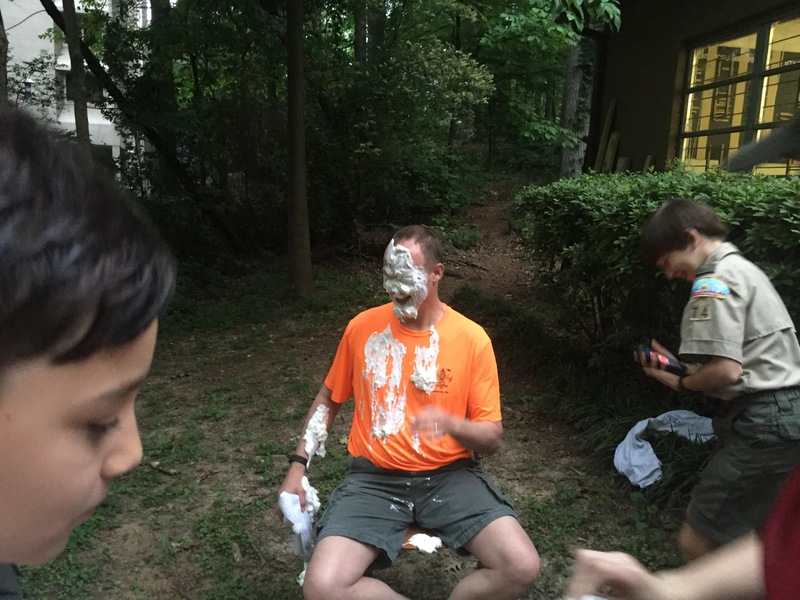 The grand-prize award was the right to put a pie in the face of the scoutmaster (me!) if you sold over 50 cards. 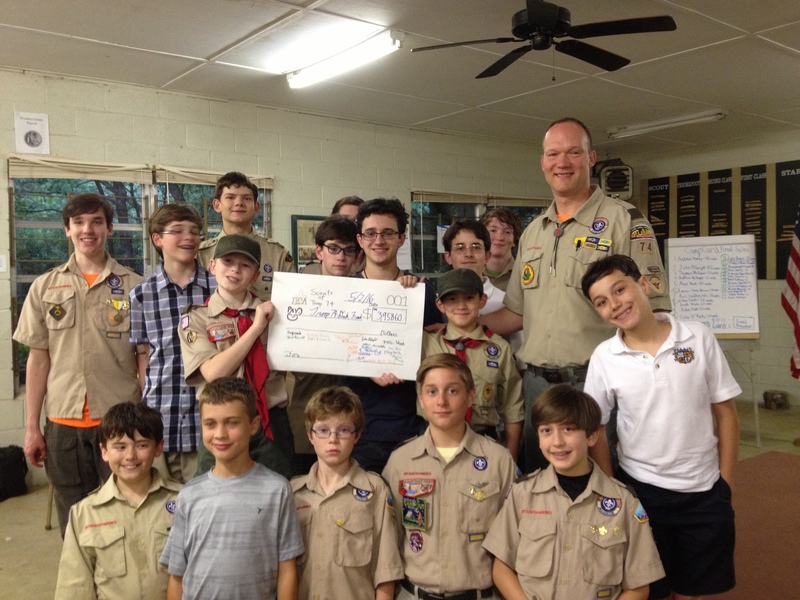 This story was submitted by Tim Porter, the Scoutmaster of Troop 74. Tagged camp cards. Bookmark the permalink.